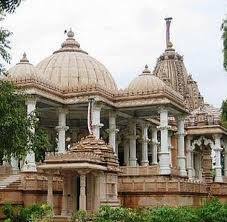 Here is Some Information about Chandrabhaga devi Temple(Prabhas Shakti Pith)in Veraval Gujarat India. The Chandrabhaga devi Temple Prabhas Shakti Pith is located in Veraval district of junagadh gujarat.The temple is dedicated to Goddesh Chandrabhaga devi.The temple is identified with the holy confluence of three rivers, Hiran, Kapila and SaraswathiPrabhas Shakthi Peeth is the place where Sati’s Stomach fell. Prabhas Shakti Peeth is among the 51 Shakti Peeth of Ma Sati. It is said that, the stomach of Maa Sati fell here, when lord Vishnu in order to relieve lord Shiva from grief of losing his wife Sati, used his ‘Sudarshan Chakra’ to incise Maa Sati Body. Then, at the place of fall of stomach, this temple was constructed. 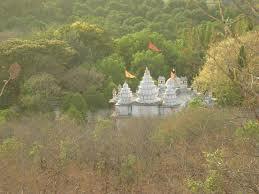 Prabhas Shakti Peeth is located near Veraval, near Junagarh district of Gujarat. Ahmedabad is not very far from this place. Since this temple is situated near to the metro city of India, so the transportation to this place is quite good. 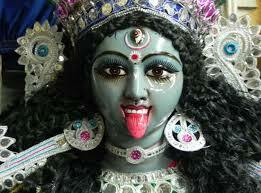 Here the idol of Maa Sati is called as ‘Chandrabhaga’ and the lord Shiva is worshipped as ‘Bhakratunda’. Meaning of Chandrabhaga is throne of moon and depicts power. History said that moon was to marry one of the daughter called as Rohini of King King Daksh Prajapati. But he married all the 27 daughter of the king. In rage King told moon to get disappeared. In order to get his glow back, it is said that moon worshipped lord Shiva at Prabhas. There is no exact information available about the construction or establishment of this temple. It is a very ancient temple and the whole construction of this temple is done with the help of stones. All around the walls sculpture dedicated to gods are engraved on the stones. But people visiting this temple will surely find from local people about the existence of this temple and information related to its origin. By Road :There are many public and private vehicels available to reach Chandrabhaga devi Temple Prabhas Shakti Pith Veraval. By Train : The Nearest Railway station is Veraval station. By Air : The Nearest Airport is Kesod Airport.